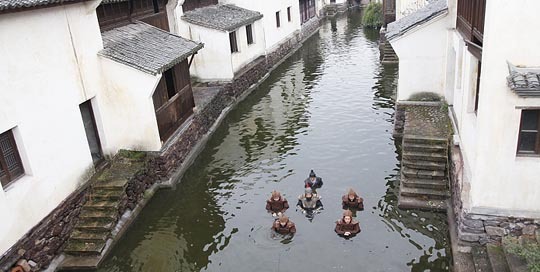 Sometime during the Ming Dynasty, two wandering soldiers arrive in the southern city of Guancheng. 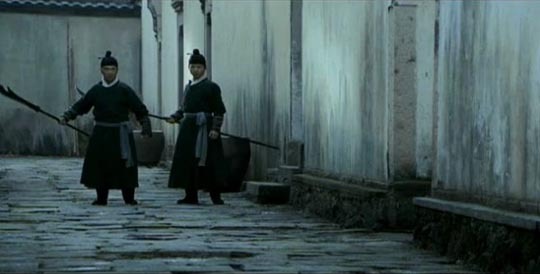 Armed with unusually long swords, they fight their way past the four martial arts schools which reign in the city. One of the pair is captured, while the other escapes and goes into hiding. He is Liang Henlu (Song Yang), a former bodyguard of the great General Qi who defeated the Japanese pirates who had plagued China’s coasts. Liang has arrived in the city hoping to establish a school to pass on Qi’s fighting style. But in order to do that, he must defeat the established schools to prove his worth. The problem is, Qi’s style is based on that long sword which was derived from the Japanese katana, and thus forbidden in China. The leader of the martial arts establishment starts a rumour that Liang is a Japanese pirate himself, and the city’s forces – the four schools and the Coast Guard – set out to destroy him. Liang proves a wily opponent. He recruits a dancing girl and gives her a quick lesson in fighting from a concealed position, from which she holds off the combined forces of the four schools while he sets out to defeat the Coast Guard and attack the schools from behind. He also recruits the Lady Qiu, the centre of a parallel narrative. When she was brought to Guancheng to be the wife of Qiu, the master of one of the schools, she came with a bodyguard who turned out to be her lover. Rather than punish her and the lover, Qiu exiled himself to the mountains. Now, hearing of the supposed Japanese pirate, he returns and the cat-and-mouse game with Liang becomes an opportunity to resolve his own personal story. 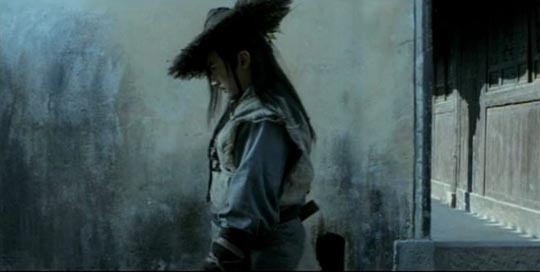 The Sword Identity (2011) is the directing debut of Chinese writer Xu Haofeng and in style and content represents a critique of the Chinese martial arts genre, wuxia pian. The hero, as here, is often an outsider driven by a sense of justice, who stands against a rigid establishment which has perhaps lost its own sense of chivalry. The trope of conflicting martial arts schools is also common in the genre, often to the exclusion of other social and political factors. 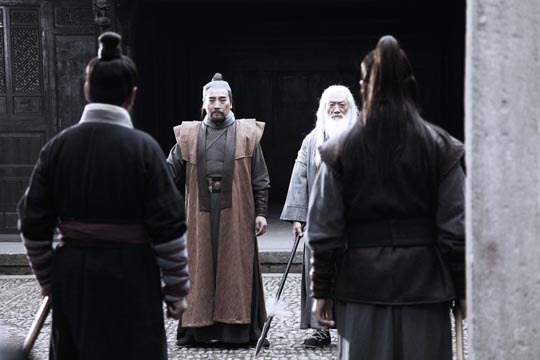 In Xu’s film this rigidity is represented by the opposition to Qi’s innovative weapon and the unconventional tactics Liang brings to the fight. The genre is often as ritualistic as the classical musical, with stories constructed around fight scenes which are choreographed like elaborate dance numbers. The movies most familiar to western viewers – Ang Lee’s Crouching Tiger, Hidden Dragon (2000), Zhang Yimou’s series of historical epics beginning with Hero (2002) – are like the big MGM musicals of the ’50s, opulently designed, emotionally operatic, driven by visual spectacle. The Sword Identity is more like a chamber piece, a film built on stillness rather than flamboyant action. Liang’s fighting style is “shadow and sound”, bringing out the essence of the martial arts genre which is more internal than external, rooted in a deep philosophical awareness of the individual’s relationship with the world around him. Xu gives us the inner thoughts of the characters as they analyze the situations they find themselves in, and then presents the resulting action in very quick, at times confusing, flashes. Rather than lingering on the physical aspects of martial arts, he’s concerned with what comes before and after these clashes. This internalization reaches its climax in the sequence in which the now-injured Qiu seems to orchestrate the violent ending of the relationship between his wife and her lover, only for the action to back up immediately and repeat with a different outcome – expressing an inner change in Qiu who has finally come to terms with the situation. 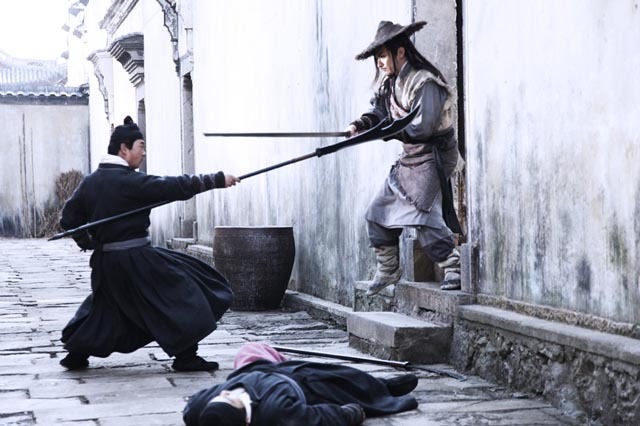 From the point of view of the usual pleasures offered by the genre, the exhilaration of those choreographed fight scenes, The Sword Identity can seem frustrating. The dominant tone is one of stillness, of waiting, and the action scenes are too brief and abstract to provide any full release of the underlying tension. The resolution of the conflict turns out not to be about weaponry and physical dominance, but rather about the nature of character. To this end Xu gets thoughtful and engaging performances from his cast. Lionsgate’s no-frills, single-layer DVD of The Sword Identity offers a crisp visual presentation which at times looks too obviously shot on video, with the rather flat image occasionally looking like a television drama. The subtitles are also occasionally jarring, with unfortunate anachronisms like one character telling another “we’ll update you later”. But given the film’s other strengths, these are minor quibbles. 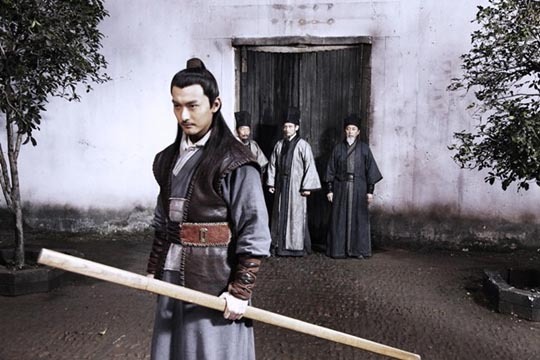 This entry was posted in Review and tagged Chinese Film, Historical Film, Martial Arts, Review. Bookmark the permalink.